This wine has a lovely deep, dark, purple core with a vivid, violet rim. On the nose, aromas of cassis, black currants, blackberry, truffles and complex earth tones are prevalent with a hint of tobacco and clove. The silky, elegant tannins complement the earthy, cassis, currants and truffles on the palate, while hints of chocolate and ripe, red fruits also shine through. The finish is clean and long, leaving a desire for more! Drink mid 2011 through 2020, with longer aging possible with proper cellaring. Decanting is recommended for optimal enjoyment. Burrowing Owl Meritage is a blend of five varieties grown in Burrowing Owl’s Vineyard off Black Sage Road in Oliver: Merlot, Cabernet Franc, Cabernet Sauvignon, Malbec and Petit Verdot. 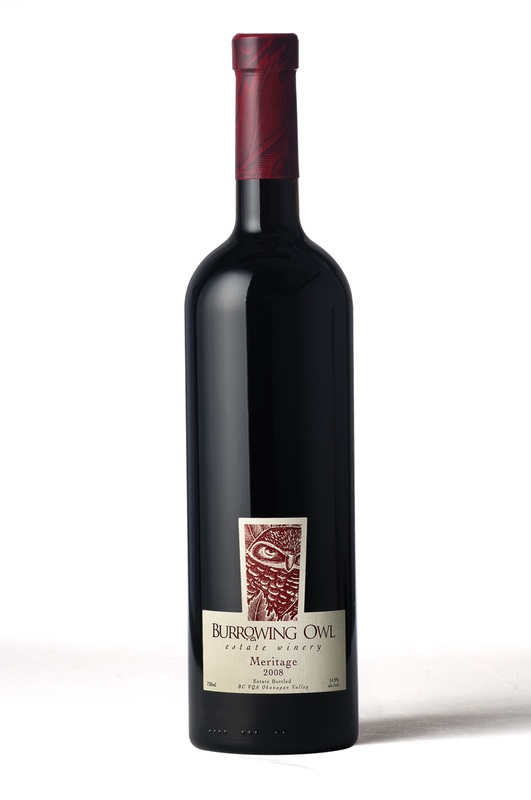 The components assembled for this blend vary from vintage to vintage, with the best blocks of grapes being selected. The grapes from each varietal in this blend were separately destemmed, crushed and gravity dropped into closed top stainless steel tanks. The grapes rested at low temperatures prior to being heated and inoculated with our selected yeast strains. Each varietal was fermented separately for 12 to 20 days on skins prior to draining and pressing. The wine was then inoculated with bacteria before being transferred to barrels for Malolactic Fermentation (MLF). At the conclusion of MLF, the wines were racked off lees and transferred back into a mixture of French, American, Hungarian and Russian oak barrels where it was aged with occasional rackings for 22 months. 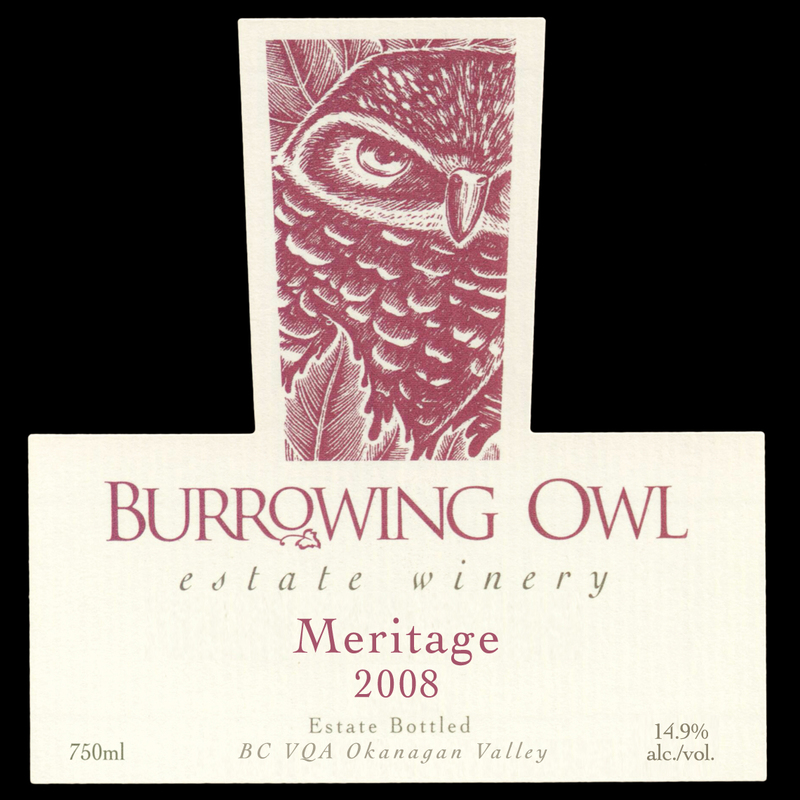 During the final individual rackings the components for the 2008 Meritage were blended before being transferred back to barrel with rackings every three months prior to bottling.